Conventions and Incentives New Zealand CEO Alan Trotter is cautiously optimistic about the upcoming Rugby World Cup as hotels begin to release thousands of rooms back into the market for sale during the tournament. Conventions and Incentives New Zealand (CINZ) CEO Alan Trotter is cautiously optimistic about the upcoming Rugby World Cup as hotels begin to release thousands of rooms back into the market for sale during the tournament. Speaking exclusively to SpiceNews on camera at AIME in Melbourne, Trotter said the biggest challenge at present is getting the message out that “New Zealand is open for business”. 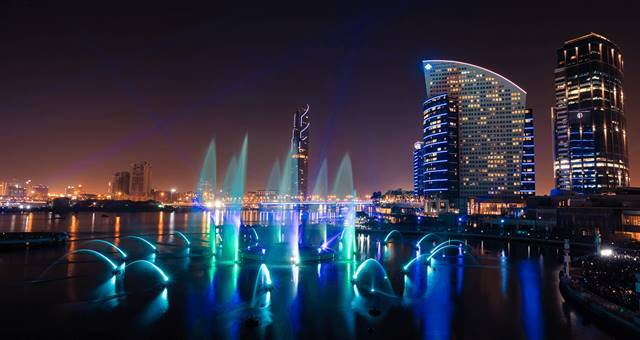 Dubai's Festival City is home to the new 'Imagine' show, developed by Australian company Laservision.